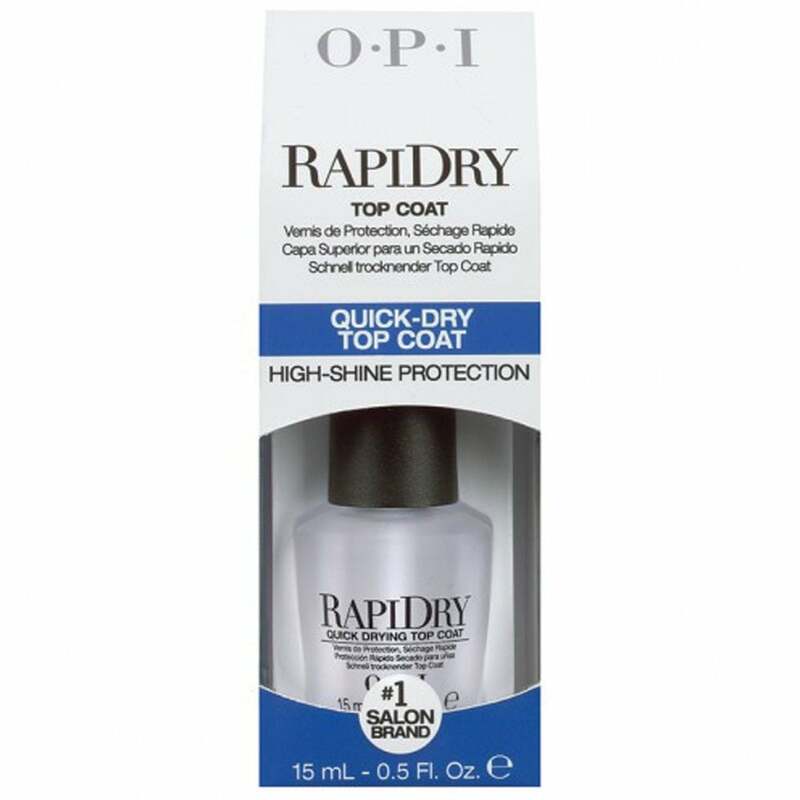 OPI RapiDry Top Coat (15ml) protects your nails against yellowing, smearing, smudges and streaks. It gives a perfect finish and ensures that your nail varnish will last. OPI RapiDry Top Coat has an Extended Wear Technology that helps dry your wet nails quicker for a long lasting, high gloss shine. Firstly apply your chosen OPI base coat. Then apply 2 coats of nail varnish. To apply RapiDry Top Coat, begin at the centre of your nail, roughly a couple of mm from your cuticle. Let the bristles fan out for maximum coverage and with each brush stroke, brush out to the free edge. Wait for 60-90 seconds after your final coat of nail varnish before applying this top coat. Apply to each side of the initial brush stroke, overlapping slightly. Review Summary - 4.8 out of 5 based on 25 ratings. Dried really quickly and lasted over a week, would recommend this product. Brilliant does what it says on the box. Dries nail varnish quickly so less likely to smudge, wouldn't be without it, just ordered two. Excellent product and dries quickly. I have been using this product for a few years and find that it gives a good gloss, hard wearing finish. This is another very good product from OPI with fantastic results. The speed at which it dries works especially these days when we are all in a rush and the finish is just brilliant. A must have. Can't believe how good this is, drys so quickly, first time ever perfect nails!